Paul Nicholls yesterday hosted a media day in the run-up to the Cheltenham Festival and over 90 turned up to see him parade some 25 horses including Kauto Star and Denman who are going head to head again in the £475,000 totesport Cheltenham Gold Cup. He plans to run five horses in chasing’s championship race, with Taranis, Tricky Trickster and My Will joining the two stable stars, while What A Friend, part-owned by Sir Alex Ferguson, will be targeted instead at Aintree and Punchestown. The trainer said: “I wasn’t too perturbed with what happened the other day at Newbury to Denman. Horses are not going to win every time. I was very happy with his run apart from the mistake he made four out where he slipped on landing. He would have won otherwise. “I have looked at the recordings and he was in exactly the same place in the AON as he was when he won the Hennessy. If he had made the same mistake in the Hennessy, he would not have won the Hennessy. He was nowhere near ready the other day and that will have woken him up. You don’t want them at their very best in trial races. “If you had seen him do a racecourse gallop at Exeter before the Hennessy, you would not have thought he’d win an egg and spoon race, let alone the Hennessy. Those sorts of days bring them along. “Since Newbury, we have got a different horse. He has been tanking along and he worked great this morning - he will have three weeks of seriously hard graft now. Anyone who writes him off, writes him off at their peril. 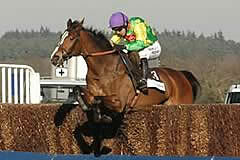 Turning to the reigning champion Kauto Star, he commented: “He is well forward in his coat. As last year, once he had won the King George we decided that he did not need to run again before the Gold Cup. He goes really well when he is very, very fit and very, very fresh. “He improved a lot from the Betfair Chase to the King George. 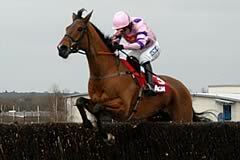 Ruby (Walsh) said Kauto Star needed it at Haydock and he was phenomenal again at Kempton. I think the King George was as good a run as he has ever put up. “He looks fantastic - we are very, very happy with his progress. He did a nice bit of work this morning and it is now a question of fine tuning him. Paul is currently the second most successful current trainer at The Festival behind Nicky Henderson and is sixth on the all-time list. He is the most successful current handler in totesport Cheltenham Gold Cup with four victories and if he were to land the 2010 renewal, he would join the late Tom Dreaper, trainer of the legendary Arkle, as the race’s winning most handler. His feat in 2009 of saddling the winners of the Seasons Holidays Queen Mother Champion Chase, the Ladbrokes World Hurdle and the totesport Cheltenham Gold Cup had only been achieved once before (by Jim Dreaper in 1975). His 1,000th British winner came when Noble Action won at Folkestone on November 15, 2004. This season he has saddled Denman to land a second Hennessy Gold Cup under top-weight, while Kauto Star became the first horse to win the King George VI Chase for a fourth consecutive year.